If you or your staff ever have difficulty keeping track of the portable property of the business, it may be time to consider instituting a new tracking system employing asset or security labels. 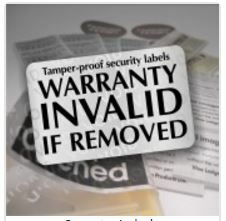 You can label anything from shipping containers through computer equipment to stationery items with numbered asset tags or sticky labels, meaning you’ll never again shudder at the thought of an inventory. Sequentially numbered asset labels are perfect for applications like keeping track of office supplies or small portable equipment and can easily form the basis of a new inventory system. If you start by logging each item, on an Excel spreadsheet for example, using its unique asset number, you have the basis of a simple system whereby individual, identifiable items are signed out when, for example, they are required by staff for off-site work. If you add a barcode it’s even easier to manage this system – the unique item number can be recorded effortlessly using a barcode scanner. Next time a count comes up short, it will be a simple matter to trace the missing item or items back to a responsible individual and follow this up. Businesses often discover this sort of system significantly reduces any temptation for staff to steal such items. A sticky numbered asset label customised with your organisation’s logo and a return address also means any mislaid item is more likely to be returned. And keeping a running stock inventory makes forecasting and stock reordering a breeze. 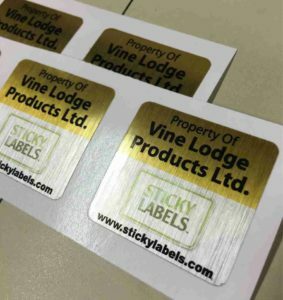 www.stickylabels.com offers a great range of labels including numbered asset labels, and you can easily design your own consecutively numbered, branded labels online for delivery within days. Their well thought-out range of simple design templates is also perfect for applications like numbering library books, auction lots or limited edition prints.